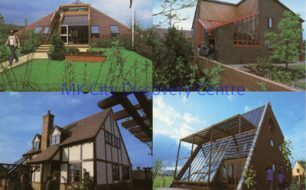 Four images of houses at the Home World '81 exhibition at Bradwell Common. 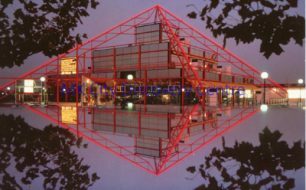 'The Greenwood' pyramid house, 'Future Home 2000', 'The Eltisley' and The Ideal Home Solar House. 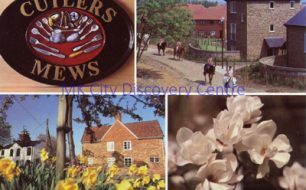 Various locations including sign for Cutlers Mews, horseriders and flowers. 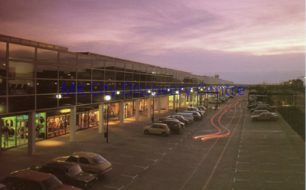 Looking south east over the shopping centre. Looking north east between Silbury Boulevard and Midsummer Boulevard over the construction of City Gardens (renamed Fred Roche Gardens in 2012). 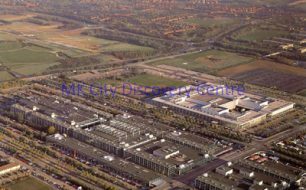 Construction of Central Business Exchange on the right side of image, Council offices on upper left. 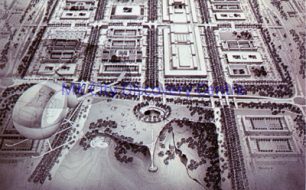 Section of Helmut Jacoby's drawing of Central Milton Keynes showing covered shopping area, stadium, entertainment complex, offices, flats and new railway station. 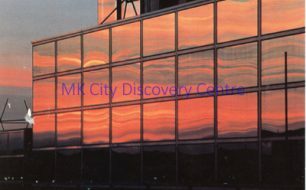 Postcard showing the setting sun reflecting on the external glass of the shopping building. 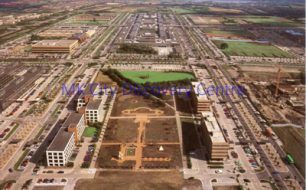 Postcard showing the view over Station Square to Milton Keynes Central railway station building. British Rail flag flying and cars parked outside. 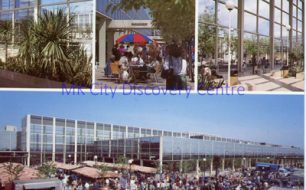 Postcard showing stalls, traders and shoppers at Central Milton Keynes market, outside the shopping centre building. 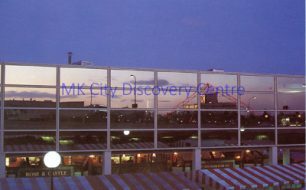 Postcard showing a night-time view of the reflection of The Point in the external glass of the shopping building. 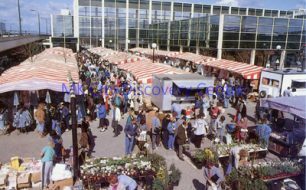 Tops of market stall can be seen, plus the interior of the Rose & Castle. 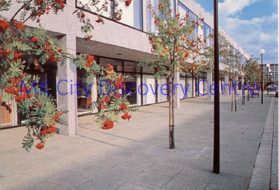 Postcard showing an external view of an office block at Lloyds Court, Central Milton Keynes, with trees and lamposts down the street. 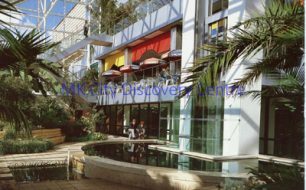 Postcard showing a view of the Winter Gardens, Central Business Exchange, Milton Keynes. A man, woman and child are by the side of a water feature, two men sit on chairs at a mid-level bar and a woman is descending the stairs above them. 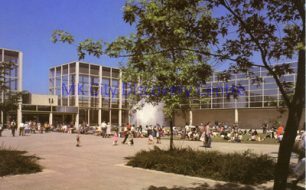 Postcard showing a view across Queen's Court with visitors and fountain. 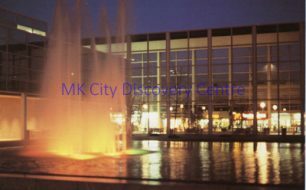 Postcard showing an evening view of the shopping centre in Central Milton Keynes, Silbury Boulevard side, with adjacent parking. 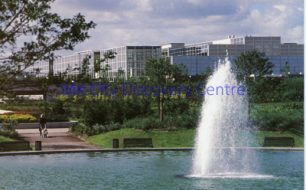 Postcard showing a view of Campbell Park towards the shopping centre building with fountain in the foreground. A woman pushing a child in a pram features on the left of the image. 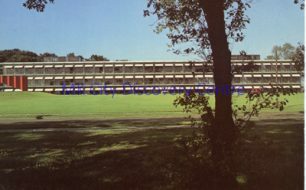 Postcard showing an external view of Sherwood House office building, Sherwood Drive, Bletchley. Part of the Schottlander sculpture can be seen on the left of the image. 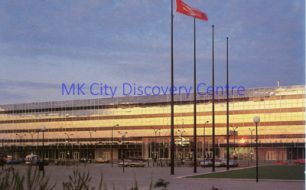 For a time, Sherwood House housed the Milton Keynes Development Corporation and the Milton Keynes Borough Council. Now called Challenge House. 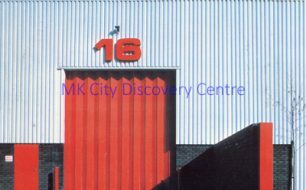 Postcard showing a view of the door of Unit 16, Dawson Rd, Mount Farm, Bletchley. 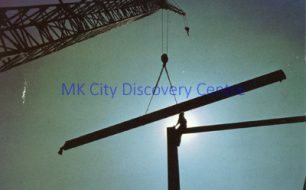 Postcard showing a construction worker silhouetted against the sun whilst sat on a structure as a crane manoueuvres a beam. 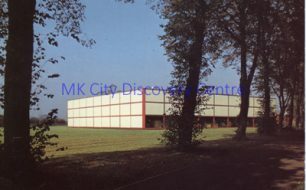 Postcard showing a view of a prototype Advance Factory Unit (AFU) at Milton Keynes Development Corporation Offices at Wavendon. Building now demolished. Postcard of retail signs at the new shopping development at Cofferidge Close. 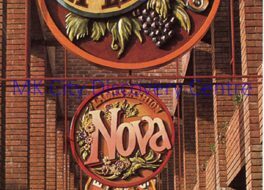 Signs for Galleon Wine, Nova ladies fashion and Bishop's food store. 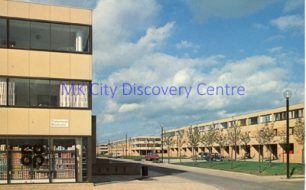 View of rented town houses by Fishermead Boulevard on the edge of the city centre. Shop front of the Co-op retail unit on the left-hand side of the image.